You hear over and over again about how important it is to have fast, reliable, Internet service that can help you and your business get ahead, but are you actually getting the most out of your internet connection? Covering the basics is step one, but it’s even more important that you’re looking ahead for new ways to leverage connectivity to get more done, and more efficiently than ever before. Here are some ideas to help your small business get the most out of your internet connection. This might fall under the “bare minimum” category, but it’s still surprising how many businesses in 2018 don’t have adequate WiFi for the needs of their business. Connectivity is more important than ever before, not only for coordinating your business with email, social media, company apps, chat and online meetings, but also for quick access to core business operations like analytics, tracking, budgets and more. Providing a solid framework for your team to be able to use these tools when and where needed in your business is vital to ensuring that your business succeeds. If you have customers that visit your business location and you don’t already offer them free WiFi, now is the perfect time to start. The benefits of offering free connectivity are numerous. Customers crave connectivity. In fact, consistent internet access is no longer what they want; it’s what they’ve come to expect. Consumer-facing businesses who are not providing WiFi access will soon find themselves at a competitive disadvantage. Your customer has already expressed interest in your business by coming in the door. Offering public WiFi lets you show them you care about providing a good customer experience. It also gives you a chance to get them on your mailing list so that even if you don’t make a sale today, you can bring them back in tomorrow. Remember: getting consumers them in the door is the hard part, so do everything you can to make sure they’ll want to stay. You can have the best broadband connection in the world, with amazing upload speed and even more impressive downloading, and it won’t matter at all if you don’t have the right equipment. As you’re looking at how your small business can get the most out of your internet connection, you need to think about everything that stands in between that connection and the people who use it. Unpatched or old devices are some of the easiest ways for a hacker to get into your network. Latent or outdated technology can slow your business to a crawl. Updating your infrastructure means that you can take advantage of better technology, but more importantly, it also helps you ensure that your network is as secure as possible. If you regularly deal with large files like video, audio, or code, you should take the time to make sure that you’re providing your team with the connectivity it needs to get the job done. It’s not just about raw upload and download speeds—you’ll immediately notice the increased responsivity of the cloud apps you use every day. The seconds you’re no longer waiting for something to load can add up to extra hours in the week to accomplish more than you thought was possible. Small businesses face a very real threat when it comes to cybersecurity, sometimes even more so than large corporations. On your company computers and servers, you have plenty of information hackers could find to be of great value: employee payroll details, user logins, passwords, and more. Don’t believe for a moment that you’re flying under the radar of hackers. Cyber hackers have good reasons to target you and half of all cyber attacks target small businesses. That number stands to grow in 2018. If you’re serious about protecting your business, you should think about employing Managed IT Services. With 24/7 threat monitoring and active response, you can rest easy knowing that your business’s online presence is protected. While network security is important, it’s not just about the strength of your network encryption or Firewall. You also need to worry about your physical equipment. You should actively monitor key access points with security cameras, in case an attacker tries to use social engineering or even breaking and entering to get at your data the old-fashioned way. More and more, small businesses are taking advantage of video meetings as a more personal way to connect with clients and each other. By using video, you can reach important contacts from all over the world without the price of regular travel, while still harnessing the power of face-to-face communication. Screenshare makes it easier than ever to walk someone through a process or give a presentation without ever having to leave your office. Video is predicted to account for 80% of all web traffic by 2019. YouTube reports that mobile video consumption has grown by 100% every year. Adding a video to your landing page can increase conversion rates by 80%. Putting a video in your marketing email can increase click-through rates by 200-300%. 90% of customers use video to help them make purchasing decisions. A third of all the time people spend online is devoted to watching videos. 59% of company decision makers would rather watch a video than read a blog post or article. These numbers pretty much speak for themselves. More customers are using video than ever before. It grabs their attention like no other form of content, and it can be a major factor in swinging a purchasing decision. Think about how to use that engagement to your advantage and create marketing experiences that build your brand. If you haven’t gotten into Alexa skills, there’s are a lot of tools and treats that can help your business reach new heights. From booking flights to putting you through to conference calls, Amazon’s virtual assistant has much to offer and it can often save you time and money. In a small business where everyone is juggling multiple roles, saving time is crucial. You need to be able to give something your focus when you have time, and not worry about it when you move on to other projects. Many of the plug and play platforms for small business help by letting you take care of everything from website design, to social media scheduling, to email segmentation and more, all in one place. Tools like Freshbooks, Wix, and Buffer are just a few of the easy to use platforms that let you quickly and effectively manage technical areas of your business without getting too technical. And the integration of analytics in many of these platforms means that you can share important data and provide your organization with the crucial insights they need to boost conversions. Marketing is great for looking for new customers, but another key component to building a great brand is taking care of the customers you already have. For that, you need to look into ways to move customer service to the cloud. Salesforce, Zendesk, Hubspot and other CRM and customer service software let you track every customer interaction you have, helping you stay in the loop with what’s going on with each account. If a customer had an issue a couple years ago, you want to remember it because they certainly will. The best way to get good reviews and drive referrals is to create memorable experiences. There are things that we hope don’t happen, and then there are things that we can’t imagine happening: natural disasters, technology issues, or even a cyber attacker attempting to take your data hostage. In these situations, cloud-based resilience can help you make sure that you’re ready to weather the storm. Taking advantage of your internet connection to continuously backup your data offsite is invaluable in a world where data is at the core of everything that we do. Getting the most out of your internet connection means making sure that you’re using every tool at your disposal to help your team get more done in less time. First, you need to take care of the basics: a fast connection delivered via a reliable and secure network. Next, you need to start looking at what the cloud can do for you. From video to automation and analytics, there are incredible new tools being developed all the time to help you boost your business. 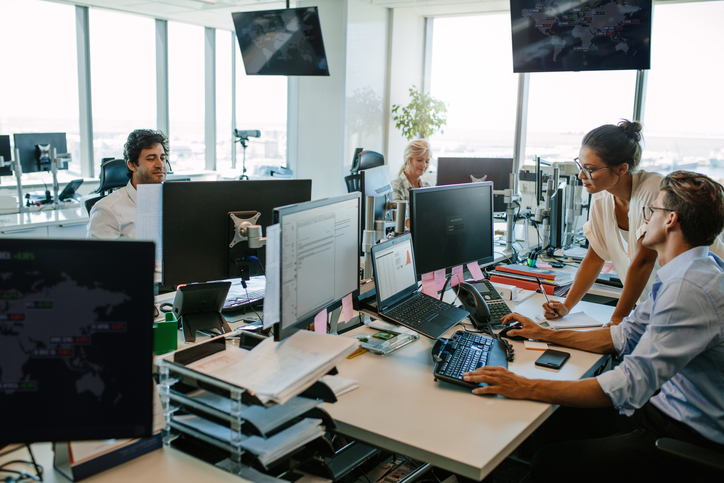 Provide a fast, reliable business-class Internet connection and solid WiFi to help your organization get more done and make your customers feel at home. Pay close attention to security, both physical and digital, to make sure you don’t get attacked. Look at how you can use video more effectively for collaboration and marketing. Leverage apps that make marketing and customer service easier. Use cloud-based resilience options to make sure your business is ready for anything.